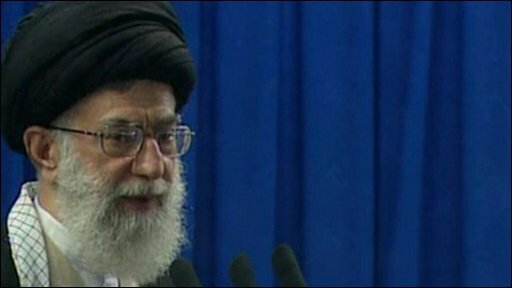 Iran's Supreme Leader, Ayatollah Ali Khamenei, has defended President Ahmadinejad's re-election, saying the results were fair. Speaking at Friday prayers, he said the competition was transparent and that the Islamic Republic would "not betray the vote of the people". His televised address followed days of protests on the streets of Tehran and in some other parts of the country.